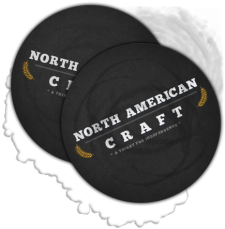 TORONTO, ON – In a post on Facebook this past weekend, Claude Lefebvre of beer import and retail representation agency North American Craft announced plans to launch an associated contract brewery, Double Trouble Brewing. According to the post, the first beer from the new company will be Hops and Robbers IPA, which will be available in six-packs at self-serve Beer Store locations. It will also submitted to the LCBO for consideration to be sold there in single cans. Further details, such as tasting notes for the beer and the brewery that will be producing it, have yet to be announced.